You guys already know how much I love lipsticks! (Who doesn’t?) Today I am sharing my review about one of my early makeup purchases but with time, I totally forgot about. This morning, I was going through all my makeup stuff and realised I hadn’t put my Colorbar Velvet Matte Lipstick in a long time. Does it happen with you that you love a particular product but even then forget about it sometimes? Well, it happens with me.. 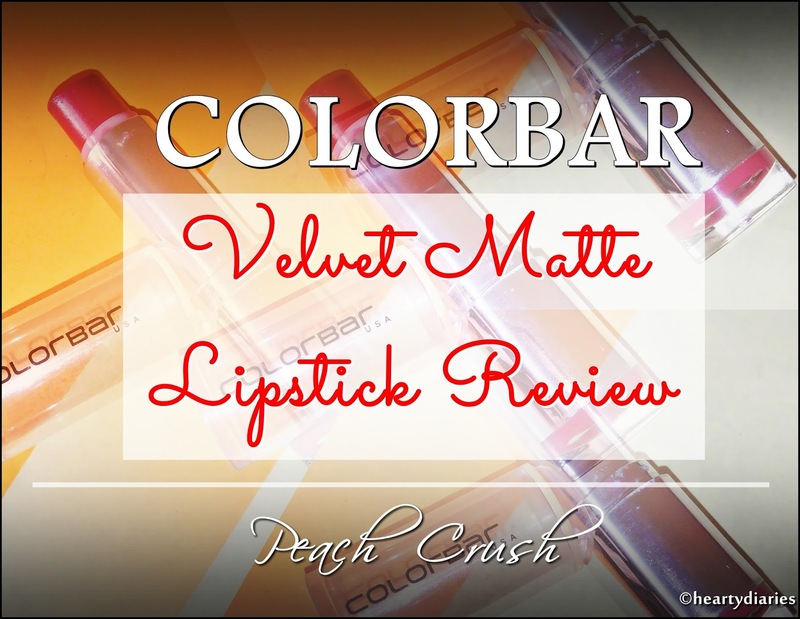 Product Description: For a rich lip color with a creamy shine, the Velvet Matte Lipstick, available in stunning shades infuse the lips with vibrancy. 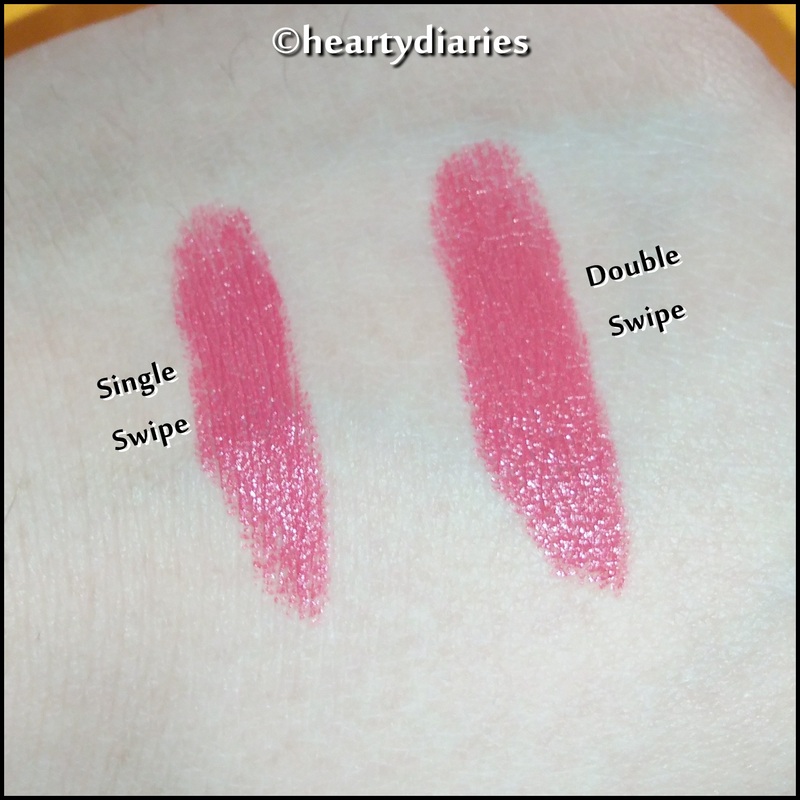 Its unique 2-in-1 formulation gives the lips a creamy, yet matte finish. A one of a kind product in India, it has super softening agents that give the lips a soft and supple appearance while keep them nourished with Vitamin E. Staying on up to 5 hours on application, the Velvet Matte Lipstick can be further accentuated with lip gloss and lip liner. How To Use: Line the lips with a suitable lip liner. Press the bullet to the lips using even pressure to apply color on both upper and lower lips: To refresh and even out, press lips together.Using a lip brush gives a richer and more precise color application. Packaging: This lipstick comes in a silver colored, fibre plastic bullet with a transparent, airtight cap having the brand’s logo on it. The cap is made up of good quality, doesn’t break on dropping and isn’t loose at all which makes it safe to be kept in handbags. 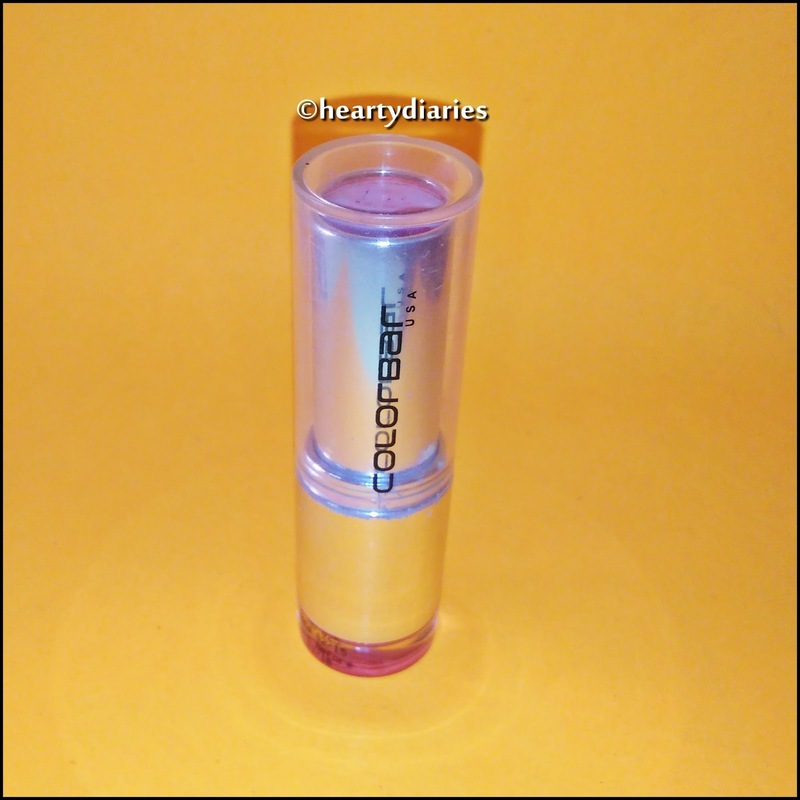 The bottom of the lipstick has a transparent bar which enables us to see the lipstick color which highly convenient. At the bottom, the shade name and number is mentioned.. The overall packaging is sturdy, light weight, mess proof and travel friendly. Pigmentation: These lipsticks are beautifully pigmented, have an intense color and the color pays off in a single go. 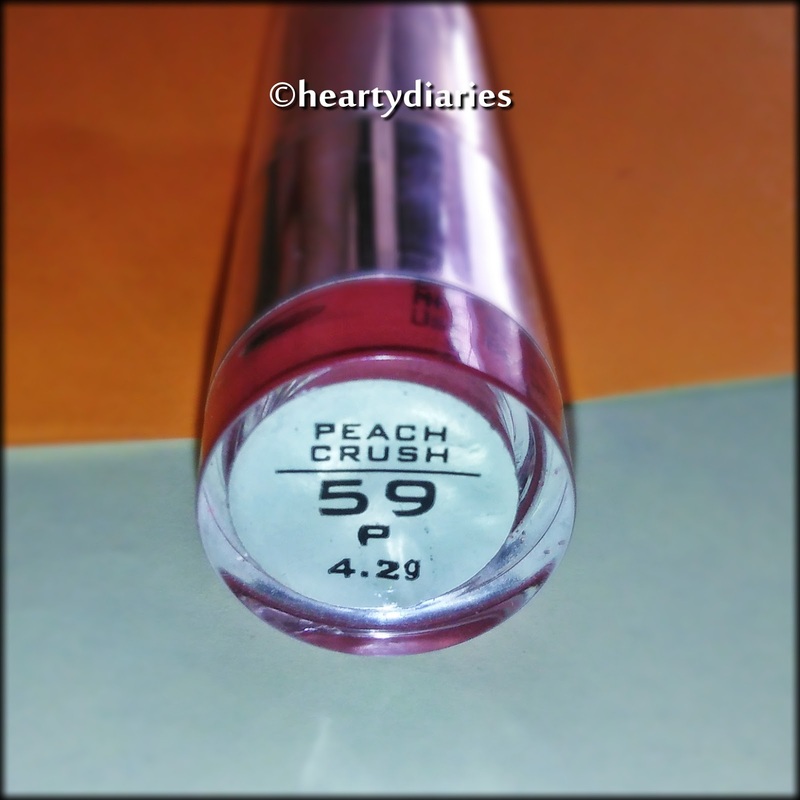 My thoughts on shade “Peach Crush”: Peach crush is a stunningly gorgeous shade and has orange-coral undertones to it.. 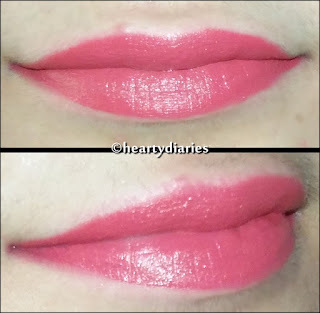 The shade you see on the lipstick bullet is exactly the same you get on your lips..
My Experience: As you can see by the condition of this lipstick, I have used it a lot already.. It glides on smoothly and effortlessly on the lips and settles gorgeously giving it a velvety feel.. I love all the shades in the range but this particular shade has my heart.. It flatters my skin tone and all my outfits really well. 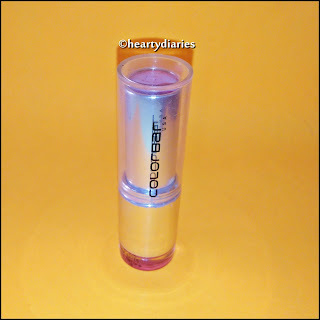 It has a rich, creamy 2-in-1 formulation that doesn’t dry out lips but leaves a beautiful matte finish behind.. 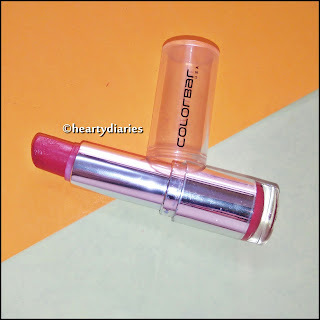 The texture of this lipstick nourishes my lips and gives them a soft and hydrated look. It stays on the lips for around five hours but the staying power also depends on how oily and moisturised your lips naturally are, how much you speak, eat or drink. On an average, it stays intact for four hours at-least but the matter of disappointment is that it smudges and transfers “very” easily due to which I have to be extra careful with it. It has also failed in my waterproof test unfortunately but it doesn’t wear off completely after drinking water. The color gets lighter and the lipstick starts to fade but leaves a beautiful tint and soft lips behind. The pigmentation of this lipstick is so nice that I can’t even tell you guys enough. 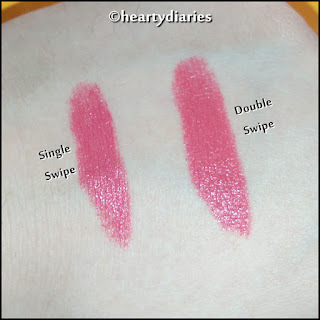 The color pays off in a single swipe and multiple swipes are not needed literally, at least in this shade. The finish is just like a satin-matte lipstick which I love. I hate matte lipsticks that are too matte.. If you want, you can mattify any lipstick using certain DIYs like blotting the lips with a tissue and setting the lipstick with a powder but I love how this one looks and its overall finish. I love carrying it in my handbag but the issue is it melts and breaks very easily if not kept in a cool place. Definitely yes.. I love its overall formulation, result, feel, finish, staying power, pigmentation, shade range and what not.. Yes. It is fully worth the price according to me and has a really good result.. Final Verdict: This creamy formula is my lips’ best friend and makes them look absolutely beautiful. I have already bought this lipstick twice and would continue to love it, no matter how many new ones come in the market.. If you have read the full review, you would know that I love every single aspect about this lipstick from packaging to finish except the fact that it is not smudge, water or transfer proof. Overall, despite a few cons in this product, I love it to bits.. This products looks so stunned and this lipstick is available in varieties of colors and the chemical in it gives the lips a creamy and shiny looks with mattle finish and gives the lip soft and classy appearance. Very pretty! Great review as always!